7pm, at One2One Cafe, 121 Ponsonby Rd, Ponsonby. All welcome, music guest, koha entry. 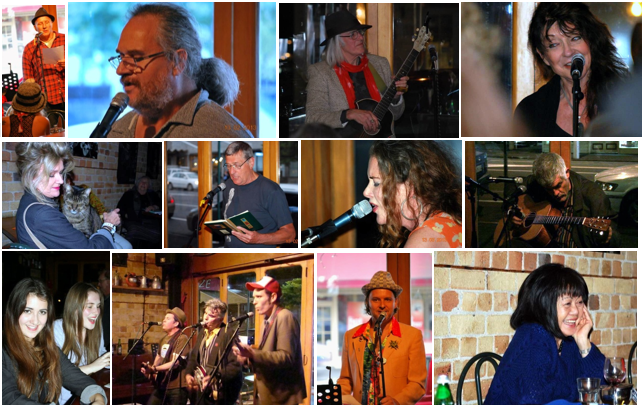 For more info email anitaarlov@hotmail.co.nz or see facebook inside.out open mic. (Once a month on the second Wednesday). All writing is welcome at Inside.out ( fiction, poetry, non-fiction etc) and writers of all experience enjoy equal footing.Mingle with other writers, find out about updates, hear good writing and music and gain experience reading youtr work aloud. Pieces need to take no longer than five/six minutes in length when read aloud. No need to book a time; just add your name to the open mic sheet when you arrive. Koha for musician please.